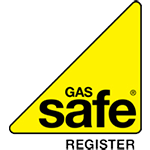 Harris Heating install, service, maintain and repair domestic and commercial heating appliances safely and to a very high standard. With an enviable reputation for delivering an exceptional standard of service, why not contact them today for a FREE no obligation quotation. Harris Heating - improving heating systems and appliances throughout Epsom and Ewell.